A young worker is working in the body shop. 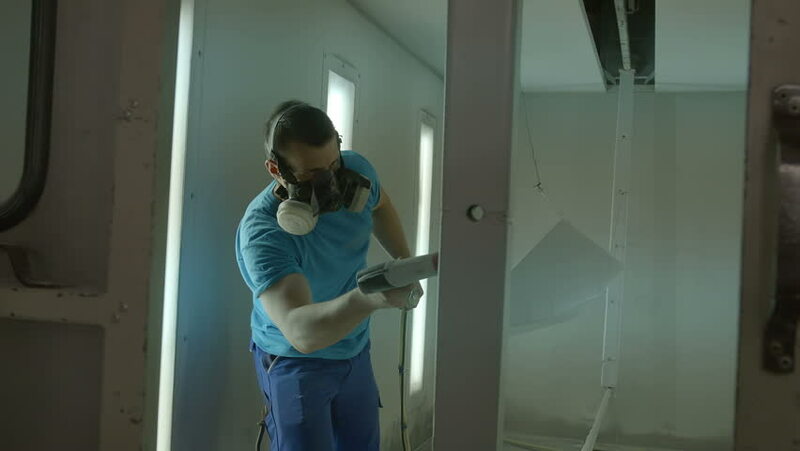 He is spraying a big item with white colour. He is also wearing a protective mask. Close-up shot. hd00:09Child girl is traveling by train. Baby travels by railway carriage and and getting ready to sleep. 4k00:18The guard, dressed in military uniform in the mask does not pass the man with the camera.